World Design Day is all about exploring and enhancing natural creativity and planting small seeds on change in collectively designing a more human-friendly and inclusive society for all. She elaborates that kids and adults alike learn best when they play and that the beauty of exposing kids to creative activities from a very young age is as vital as having access to clean drinking water. The key here is to not just deal with creativity as an extramural activity for the arty kids but to also use it as a powerful tool to create a conducive and accessible environment for learning across all learning areas, so that all children can benefit. She adds that creative activities and tools will not only enable all children to develop core life skills like people and communication skills, critical thinking, problem solving and holistic thinking but is also a vital building block to help children to develop to their full potential, in their personal and academic development. It helps them to grasp and simplify complicated things quicker and boost their innovative and entrepreneurial skills. It empowers them and gives them confidence to tackle future challenges no matter their career choice one day. That’s exactly where World Design Day fits in. It took place on 27 April 2017 and had a strong youth focus. 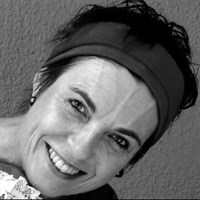 I reconnected with Stassen on the importance of design education, on the importance of starting young with design thinking, what to expect from Open Design Cape Town this year and how you can take part in World Design Day. What makes an effective educational workshop? An equal fun, inviting and playful environment where every child feels safe and supported, which then gives them great confidence to explore, participate and be themselves. How does the local experience differ from the global workshops? The environment and the use of materials might be different from place to place but in a supportive and fun environment, kids are kids no matter where they are. Because they are like sponges absorbing knowledge and information, it’s in their nature to explore and play together and that is usually no different in a local experience to anywhere else in the world. Images from Open Design CT’s World Design Day 2017 event. It is also a great experience for the kids to see what other kids their age are doing in other parts of the world. 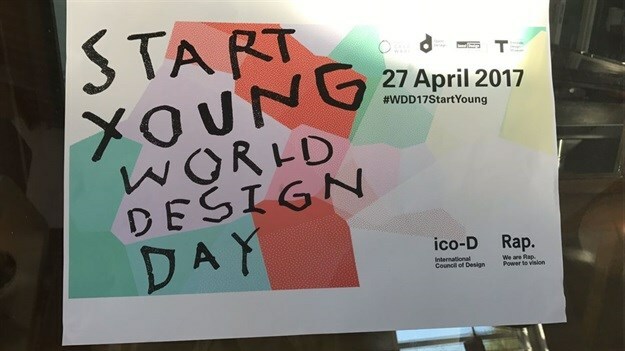 Each of the five cities that are participating – Seoul, South Korea; Milan, Italy; Montreal, Canada; Puerto Escondido, Mexico; and Cape Town, South Africa - will make a video and give their children the opportunity to wish the others “happy world design day”. It’s going to be very exciting for them to know that there are kids in other parts of the world doing the same workshop and hopefully give them a sense of pride and belonging to be part of the bigger community and experience. How can individuals celebrate World Design Day, if they're not attending a workshop like this? World Design Day is also Freedom Day, and most people understand art to be about self-expression. The core of design is to improve the life standards of people. This realisation highlights the importance of it, especially once we understand the incredible value it can add to healthcare, transport, education, communication, in our communities and cities – it's a necessity, not a luxury! Celebrating World Design Day is therefore very fitting for South Africans. It’s not only about making but also about how we all think and do. It’s about how we use our creative and innovative skills with a human-centric approach to bring about change and transformation in the way people think, behave, socialise, travel and communicate, so that we can collectively design a more human-friendly and inclusive society for all. No matter if you decide to have your own creative party with friends to get your creative juices flowing or if you decide to explore a community that you have never visited before, or choose a few hours of this special day to educate yourself around social or environmental challenges and share with others, be sure to challenge your thinking and find ways to do things differently – planting small seeds of change on this day and every other day is a very fitting way to celebrate World Design Day. Above all – have fun! Talk us through Open Design Cape Town's offering in August this year. The Open Design Cape Town Festival will run from 14 to 25 August. This first week will be hosted at the festival hub, Cape Town City Hall from 14 to 20 August and the second week will kick-off the city activation programme from 21 to 25 August. Open Design is driving the “Afrikan” design innovation and education agendas with great commitment. We believe that innovation, education and community are the building blocks of a sustainable, inclusive, prosperous society. We know that design and innovation are the unifying threads that link the building blocks and solutions to help us to develop a better, more human-friendly and inclusive future world. This twelve-day festival brings these concepts together through more than 72 exciting events. One of our flagship events, the designing careers programme for high schools, takes place on 15 August and is always a hit. 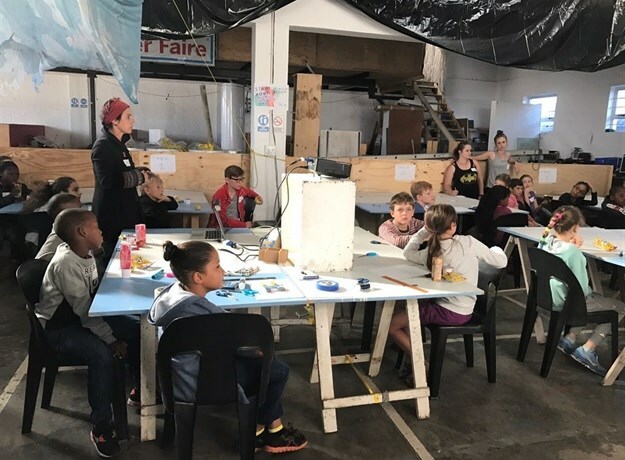 It brings together children from different communities to learn from iconic SA designers and to explore the many study options if they want to pursue a creative career. Adults will also be spoiled for choice. Pecha Kucha will again host their sell-out event at the magnificent auditorium, Cape Town City Hall on the eve of 15 August and check for tickets from end-April for the first international Steam Symposium in Africa on 14 August, for those concerned and passionate about the direction of education. Another flagship event, Talk100, will be hosted on weekday mornings, 16 and 18 August. Speakers will talk about the impact and added value of design and innovation in, for example, agriculture, transport and healthcare. There’s also Open Design Family Makers Day on 19 August; a film festival, Architectural Open Studios on 22 and 23 August; Dine with Khayelitsha on 25 August and many other events during the second week to look forward to. Keep an eye on the #WorldDesignDay hashtag and visit the Open Design website and their Twitter feed over the next few months to stay in the loop.